Telecommunications needs change frequently. Expansion, facility closures, downsizing and periodic changes in the business cycle create fluctuations in telecommunications needs. CAMP centralizes storage, repairs, refurbishment and distribution at a single location. We can ship items from your inventory to any location worldwide using your preferred carriers and shipping methods.Items coming into storage can be tested and tagged, allowing your users to keep track of not only the number of units, but also the condition of each unit. 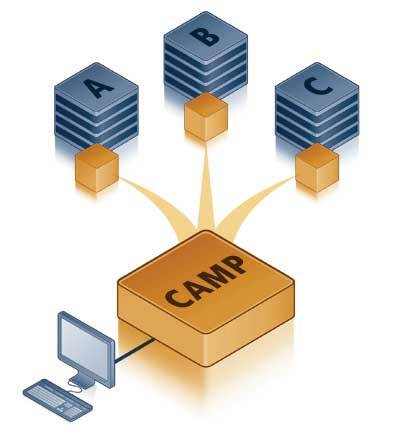 The easy-to-use CAMP online interface allows users to keep track of inventory as it comes into storage, then moves through testing, repair and refurbishment, and ultimately is either kept in storage or sent back into service. 24/7 online access to the CAMP interface and your inventory data. Centralize warranties, repair services, and distribution. Ship items from your inventory to any location worldwide using your preferred carriers and shipping methods. Simplify shipping, inventory, storage, repairs and deployment by consolidating assets to one location. Customize the look and functionality of the software to suit your company’s needs.